Outdoor woodworking projects run the entire spectrum from simple and inexpensive to intricate and expensive. There are great plans for simple, beginner items such as a bicycle rack or ladybug house, as well as plans for a beautiful cupola to grace the top of your home or garage. Free outdoor woodworking plans use simple tools and stock lumber to create a myriad of useful and eye catching accessories and storage items that every family and yard can use. Always use galvanized or stainless steel fasteners to avoid rust and corrosion. 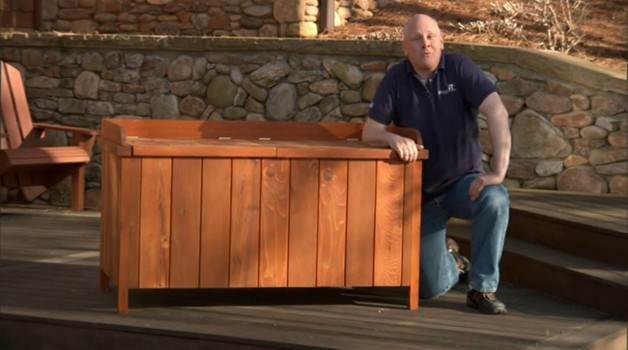 Choose exterior treated lumber, cedar or redwood for lasting durability when constructing your outdoor items. Use water seal and water based stain to protect and finish your projects. Storage chests, sundials, boot drying rack or weathervanes are all free outdoor woodworking plans you and your family can build together for a do-it-yourself project that everyone will enjoy. Build this attractive storage box in a single weekend that offers two hinged lids that doubles as a seating area. 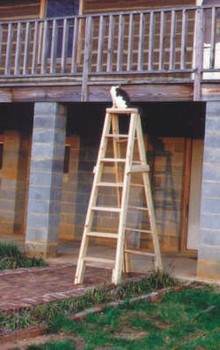 This is a plan for a multi-functional wooden ladder that can be built for approximately six dollars using these instructions. 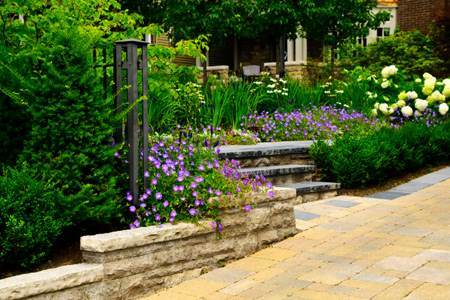 Create a retaining wall for any garden. Made out of cobblestone or other materials, it provides a fresh and unique look. This plan is for creating a sundial for your lawn or garden that will tell the time with the help of the sun. 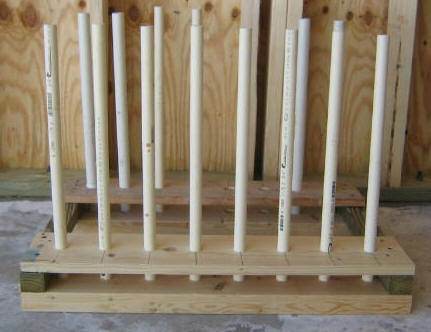 Here is a project for an inexpensive boot drying rack that works great for placing in a mudroom or entryway. Here is a plan for building a rooftop cupola that looks great and gives needed ventilation. 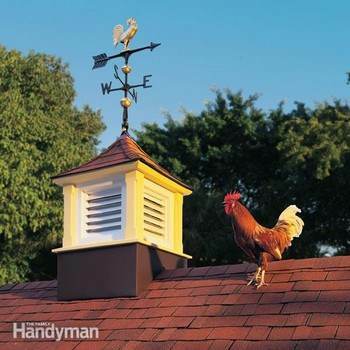 Cupolas work well on top of a barn, stable or even your home. 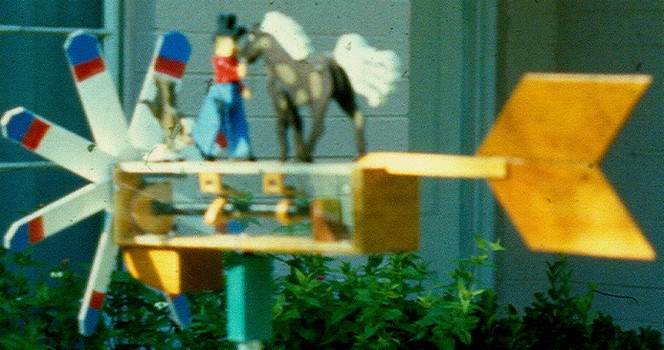 This is a unique and fun project for the seasoned woodworker for a weathervane that features a cowboy with his horse and dog.